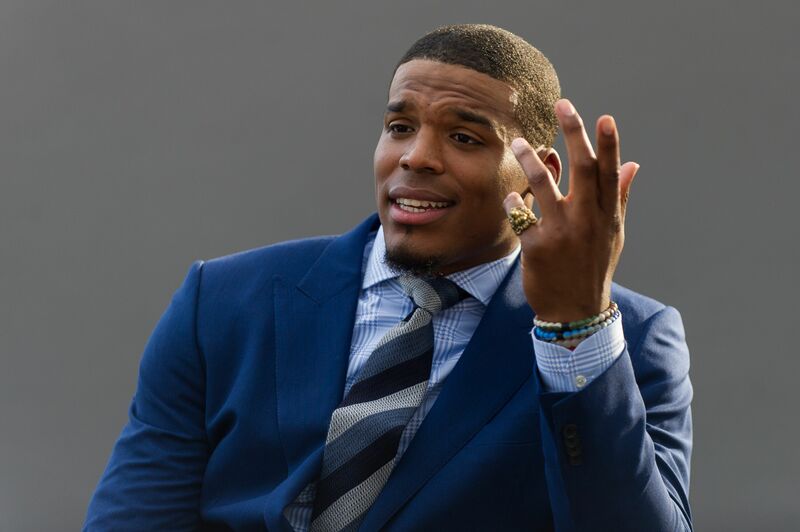 The Twitter trolls are out in full force, including the Carolina Panthers themselves. After critical comments from Colin Cowherd, the Panthers pounce. Ah! Nothing like the smell of fresh trolling in the air! Smells like fresh-cut grass on a spring morning. Especially when it is a team trolling a sports personality. And this time, it is one of the sweetest smells you will find. The Carolina Panthers are working with quarterback Cam Newton, trying to build his presence in the pocket. Newton is known for his ability to cover the field with his legs and speed, more so than his arm. A year after a trip to the Super Bowl, the Panthers struggled and finished last in the NFC South last season. Part of that was due to the performance of Newton. But, partly because of the young offensive line and wide receiving corps that surrounded him. Now, the team wants their star player to sit in the pocket more. His response? Questionable. And that brought out the highly-opinionated sports show host Colin Cowherd. Now, you can say that either side of the debate is right or wrong. Newton’s prowess as a running threat is real, but that means his teammates are not involved. Cowherd made a couple solid points, especially the comparison to Steve Young. However, regardless of your thoughts on who is right, the Twitter trolling is what makes this more fun. Now, this is a classic troll. Simple. Clean. Taking the words of the original speaker and twisting them to insult them. The Carolina Panthers put on a clinic, and it was called “Trolling 101: Fun with Talking Heads.” Of course, this only means another clinic could happen on Monday from Cowherd himself. Still. Cowherd does have a solid point. For the Panthers to succeed in 2017, Newton needs to stay in the pocket more.